Cannonsburg Kids is OFFICIALLY OVER FOR THE SEASON. SEE YOU NEXT YEAR! Cannonsburg Kids is a weekend learn to ski and ride program for kids ages 5-12 at any ability level. The program runs both days of the weekend with registration beginning at 9am throughout the season in the Bear Creek room. Whether a first time skier/snowboarder, or an enthusiast looking to tackle race gates or terrain parks, our instructors are here to help! 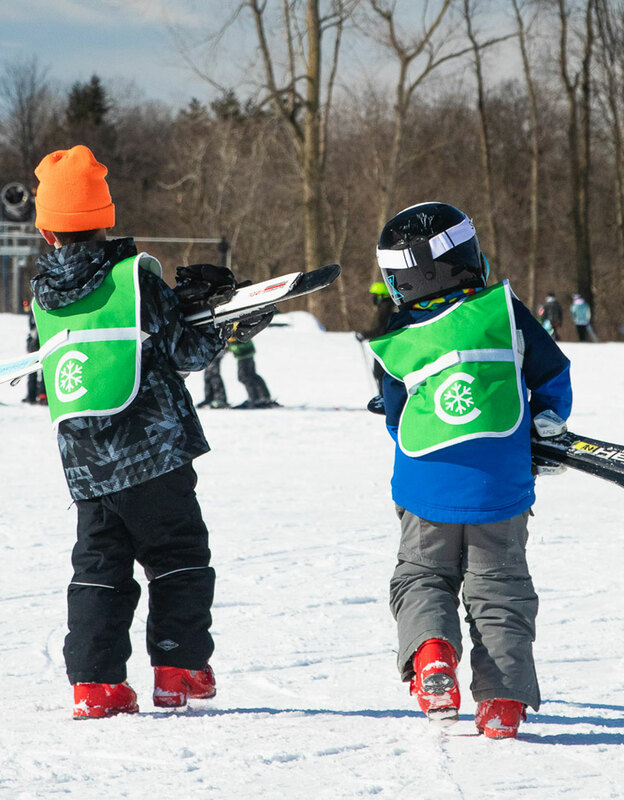 Cannonsburg Kids is specifically designed to help those ages 5-12 years old learn, progress and feel more confident on the hill! Get the knowledge and experience you need to learn to enjoy terrain parks and freestyle skiing and riding in the safest way possible. Our experienced freestyle instructors can help anyone from relatively new skiers and riders to experts take their skills to the next level. Freestyle lessons are available for both skiing or riding on a limited schedule. Private or Semi-Private 2 only.